Happy Halloween everyone!! Growing up I really liked this holiday but in college boy did I love it! It was all about the costumes and the parties. I remember one time Halloween landed on day light savings and we actually got an extra hour at the bar! That night was pretty out of control. 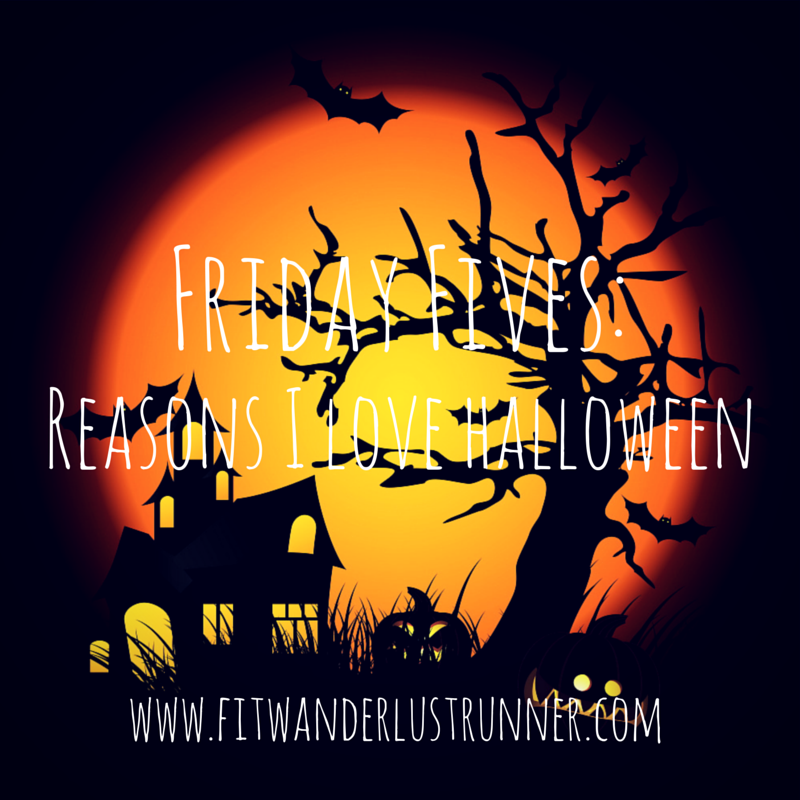 So since this Halloween lands on a Friday I am linking up again with Courtney from Eat Pray Run DC to list the 5 reasons why I love this holiday. The Candy: Man I have been eating Halloween candy ever since it hit October. I can see why this the dentists favorite holiday. 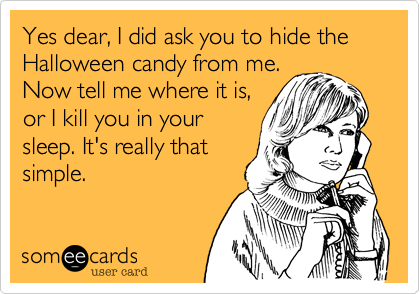 Now as an adult I pick the good candy to give out. Well I start off buying the good candy but sometimes it just magically disappears. The Costumes: Who doesn't love a holiday where they can dress like anyone or anything they want. It is a "no judgement" day. You also get to see how creative some people are with their costume design. It's always fun to see what is going to be the go-to costume. For some reason I foresee a lot of Elsas out there from Frozen. The Parties: I actually met my husband at a Halloween party. He paid no attention to me but then again neither did I. It wasn't until a year later at another Halloween party where we really hit it off. So Halloween parties play a special part in my life because of my husband. Pumpkins: I really enjoy carving pumpkins but this year I didn't have any time to get one. I enjoy the whole messy process but I really like baking the seeds. It is such a good snack. And who doesn't enjoy going to a huge pumpkin patch and picking out the best one. Some patches now have rides and food...almost like it's a little carnival/festival. Seeing the kids in their costumes: Okay I don't have any kids but I absolutely love seeing my friends post pictures of their children all dressed up. It makes me happy to see them so excited for Halloween. It reminds me of myself when I was a young kid. The cuter the costumes, the better! Can't wait to start seeing the pictures uploaded on social media. I am beyond excited to see my nephew and goddaughter tomorrow. I've never been with them during this time of the year so I am looking forward to this! 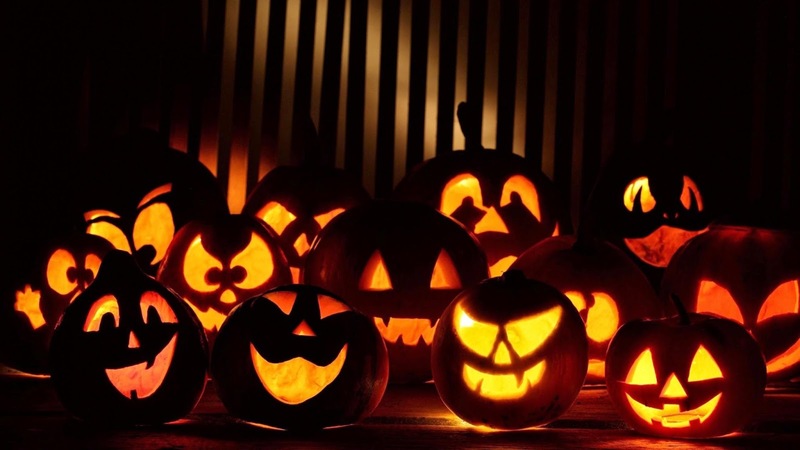 What do you love about Halloween? We are going to a party tonight and will be wearing costumes I made about 20 years ago for a party we hosted. Not really special, a pirate and gypsy but it should be fun! I haven't been to a Halloween party in years! So fun. They are the best! Love seeing adults dressed up in costumes. hope you had a great halloween -- fun that you met your husband at a halloween party!